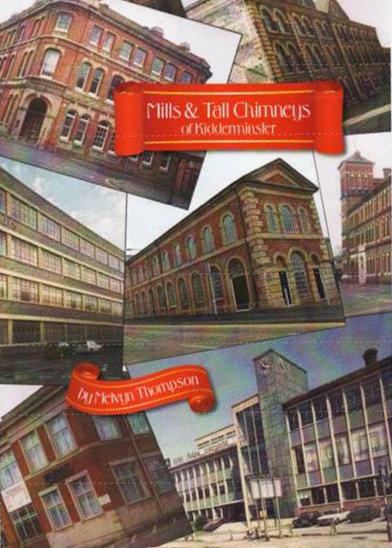 Melvyn Thompson, historian of Kidderminster’s carpet industry and long-time volunteer and supporter of the Museum, is delighted to announce his latest book, Mills & Tall Chimneys, 1850s-2010. The reader is taken on an illustrated journey through the town, stopping to examine the historic mills and factories of the carpet industry, past and present. Other locations are considered, including some in Stourport on Severn, together with details of the architects, the buildings and a taste of life in as typical carpet factory. With over 500 historic photographs it is the ideal companion to Melvyn’s Woven in Kidderminster which was launched in March 2002 and has sold 3,000 copies to all parts of the world. Both books are available to buy in our museum shop, or directly from Melvyn himself, via his website. Next Stour Vale Mill – our home!